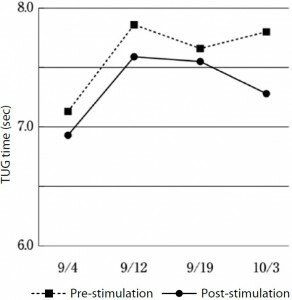 Abstract : The effects of inguinal region shiatsu treatment on the ability to walk were verified using the timed up and go test (TUG). 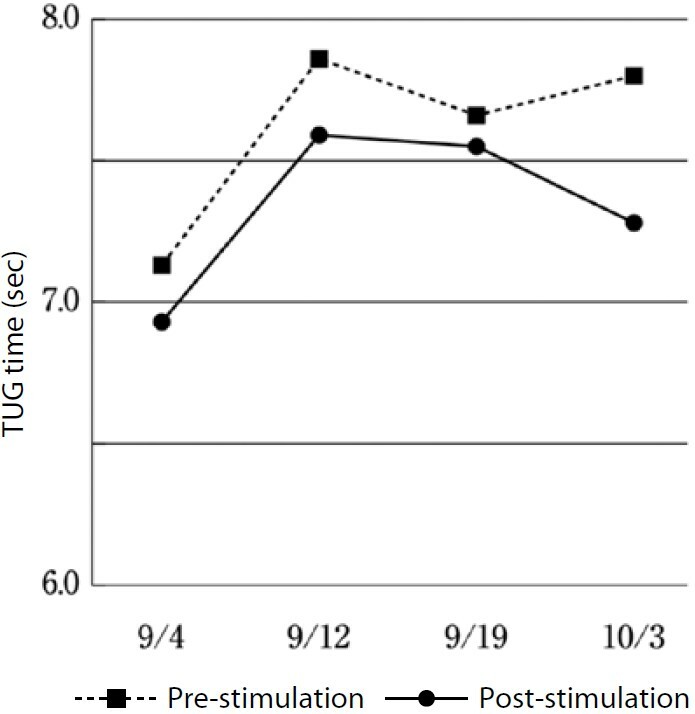 The post-treatment time was shorter than the pre-treatment time. 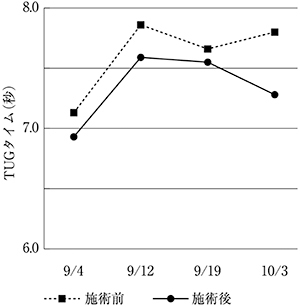 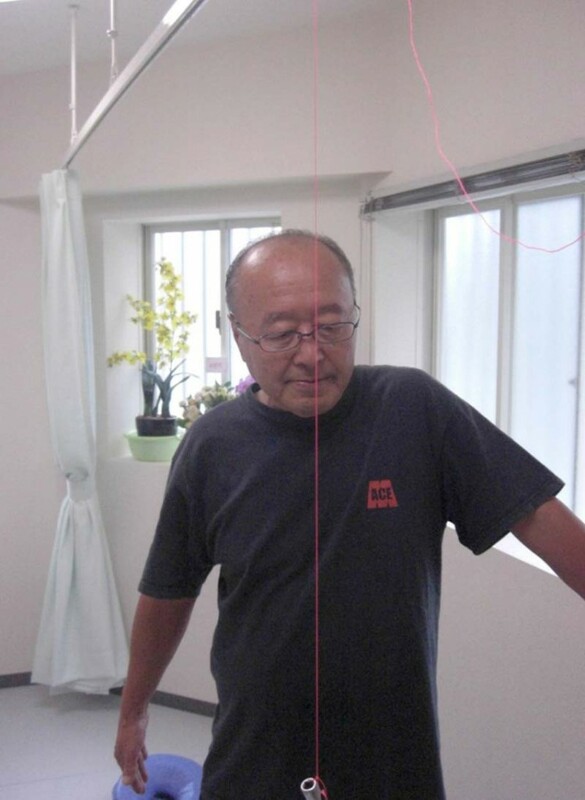 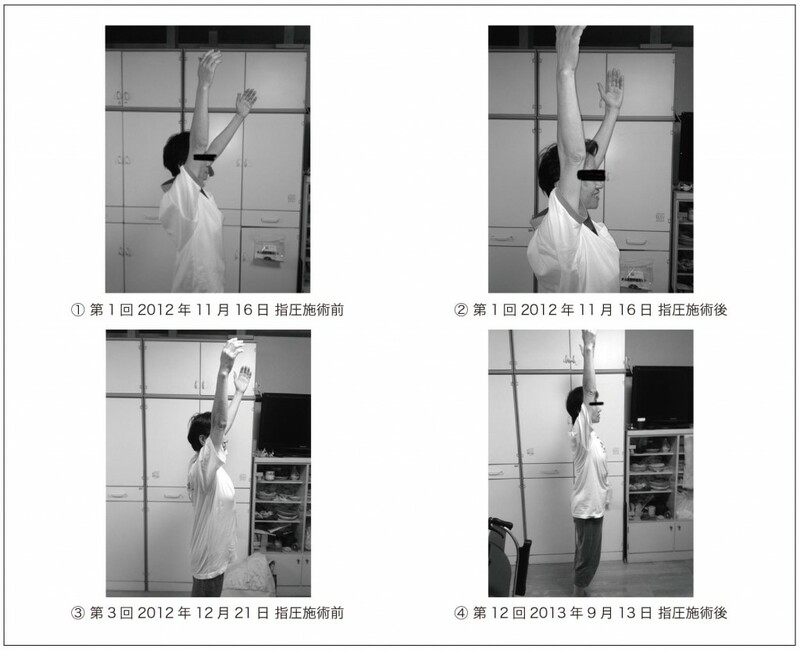 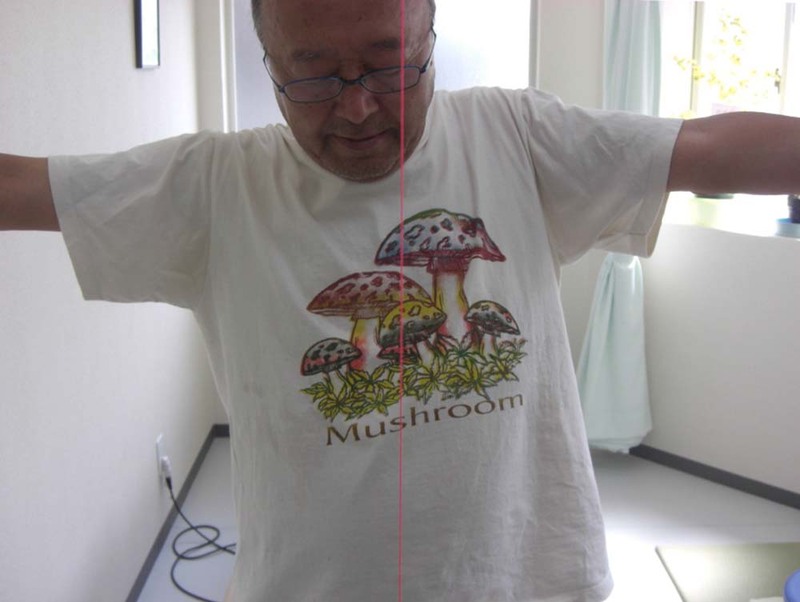 This result suggests that shiatsu treatment may improve the ability to walk at least temporarily.